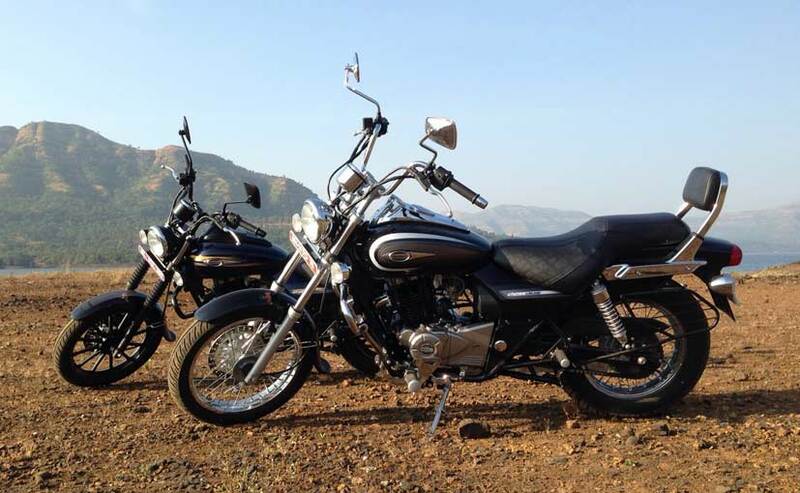 The Bajaj Avengers have grown in strength. This family of urban cruisers from Bajaj Auto now includes the Cruise 220, the Street 220 and the new Street 150. The last two add city riding dynamics to the cruiser range. We rode the Cruise 220 and the Street 150 to check out what these bikes had to offer. The new Avengers certainly look more purposeful and a bit taller, although the seat height has been raised by a marginal 15 mm. But the Cruise and Street range have something extra to offer and its more than just design tweaks. The Bajaj Avenger Street 220 has street-smart looks with the overall matte black finish, though the Street 150 gets a glossy dark blue touch to make it look quite sharp. Bajaj has added some new functional touches to the range - like white hue head-lamps for better visibility during night rides, a newly designed speedometer with LCD, and flexible indicators. The Bajaj Avenger Cruise 220 gets styling cues which are true to its name, with a new handlebar with the new Avenger badging on the fuel tank's sides and some shiny chrome all around. The 17-inch front and the 15-inch spoke wheels in the rear add to the bling quotient and there's even a new chrome cover for the oil cooler. The contoured seats look comfortable with the extra foam but I do wish it was a bit wider for more under-thigh support. The cruiser look is complete with an optional large windshield on the front and a pillion backrest. The Bajaj Avenger Street range of bikes get lower and flatter handlebars for easy manoeuvrability - a handy tool while weaving through city traffic - and have a different riding position when compared to its Cruise sibling. The new silencer is black and the 12-spoke alloys for the front and 9-spoke for the rear catch the eye. The rubber bellows on the front forks and new grab rails add character and give it that urban cruiser look. Now Harley-Davidson might feel a bit done in here with the new Bajaj Street bikes looking like the long lost cousin of the Harley-Davidson Street 750. Not a happy family reunion this one for sure but Bajaj won't mind this obvious comparison. We put both Avengers to the test - from Pune to Lavasa - a good mix of highway stretches and some interesting mountain twisties. The Street 150 uses a refined version of the Pulsar 150 engine that has been tweaked for smoother performance. 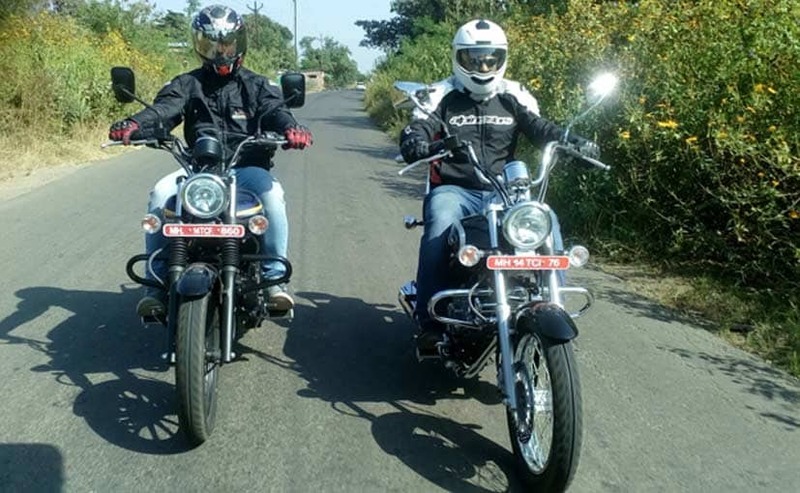 The power figures indicates 14.3hp and 12.5Nm of peak torque and this cruiser surprises with the low and mid-range torque from the air-cooled engine. The 5-speed gearbox shifts smoothly with an easy clutch and makes it a breeze in city riding conditions. It's quick, peppy and cruises comfortably at around 70-90Kmph, after which the vibrations kick in. The Street 150 handles with fair amount of confidence on the mountain roads with brakes and suspension tuned for a smooth ride. The riding position is not as relaxed as the Bajaj Avenger Cruise 220 but not very tiring either. I do wish the front foot-pegs, especially the one near the brake lever, were slightly away from each other for better comfort. Both the Bajaj Avenger Cruise 220 and the Street 220 get the same engine specs as the outgoing model but with refinements. The tweaks to the chassis and wheelbase are minor but they do work to offer a more solid feel than before. The cruiser is comfortable at around 90-100Kmph and the engine feels quite relaxed. The riding position is easy and relaxed, and is more cruiser-like with the taller handlebars. The Cruise 220 handles just as well as the Street 150 but the bikes would rather prefer straight highways than mountain twisties. Read More: Hamara Bajaj Once More? Smartly priced at ₹ 75,000 for the Street 150 and ₹ 84,000 for the Cruise/Street 220, the new Avengers are now bigger, stronger and a tad bolder with the overall package better than ever before. No wonder Bajaj 'Feels Like God' in this urban cruiser segment.